Guests Get Comfortable in Fort Lauderdale Suites. Whether youre planning a weekend getaway or seeking extended stay hotels in Fort Lauderdale, the Staybridge Suites Ft. Lauderdale - Plantation hotel puts the best of this sunny city at your fingertips. 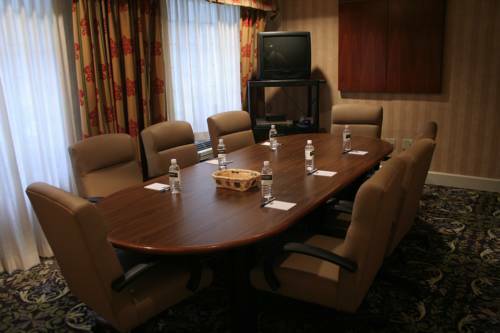 Conveniently situated off I-595, our hotel ensures comfort and accessible travel whether you're here to work or play. We offer complimentary scheduled shuttle service within 5 mile radius of the hotel, Monday-Friday 7:00 am - 9:30 am and 3:00 pm - 5:30 pm, based upon request and availability. Downtown is within 8 miles while Fort Lauderdale International Airport and area beaches are within 15 miles. Vacationers visiting Plantation, Florida will find our accommodations perfect for their extended stay. Guests can play a round of golf at the nearby Jacaranda Country Club, or enjoy retail therapy at Sawgrass Mills and Westfield Broward Shopping Center. Sun Life Stadium, home of the NFL's Miami Dolphins, is also just a short drive and our pet-friendly hotel makes planning for the family ideal. Guest amenities include around-the-clock services, such as free laundry facilities, a fitness center and The Pantry sundry store. Perks like an outdoor pool, fire pit & BBQ area and complimentary breakfast, make this the place to call home. Free Wi-Fi is available in every suite along with a fully-equipped kitchen and work stations. We invite you and your pets to get comfortable with us!